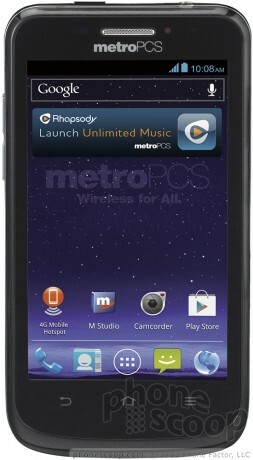 MetroPCS today announced the ZTE Avid 4G, an entry-level Android smartphone. The Avid runs Android 4.0 Ice Cream Sandwich and includes a 4-inch display with 800 x 480 pixels. Features of the Avid include a dual-core 1.2GHz processor, and 5-megapixel rear camera for imaging, and VGA front camera for video chats. The Avid can be used as a mobile hotspot, and supports MetroPCS's joyn messaging platform. It is available online and in stores beginning today for $149. It does not require a contract. MetroPCS is offering reduced-rate LTE 4G plans for a limited time, which range from $30 to $55 per month. The ZTE Avid 4G is a solid mid-range Android smartphone from MetroPCS. It is compact, light, and offers a competitive feature set.